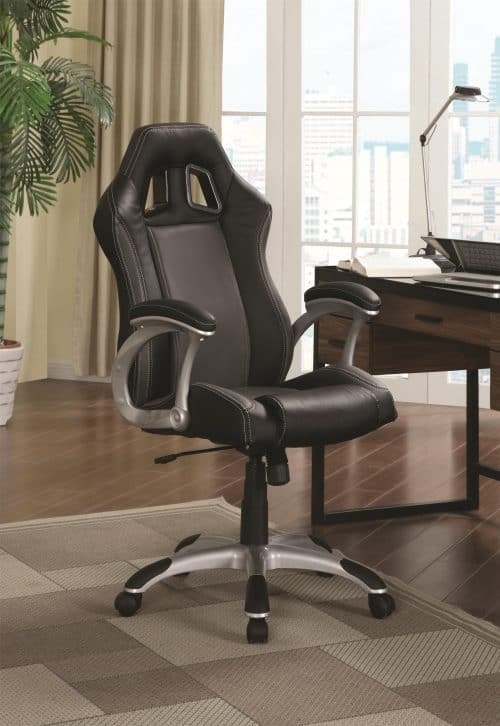 This unique black office chair offers air ventilation for lasting comfort and fantastic lumbar support throughout the work week. 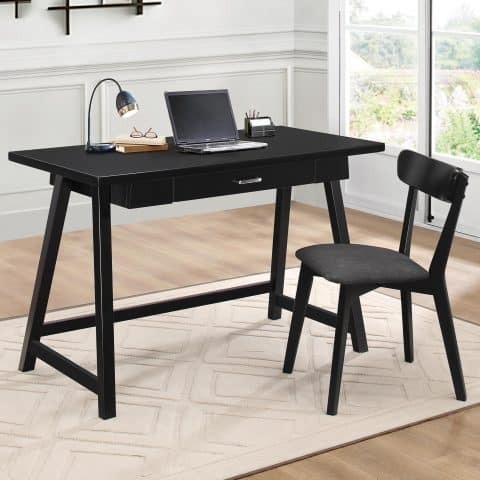 A swivel base, wheel casters, attached arms, and seat height adjustment help this piece cater to your every seating need. 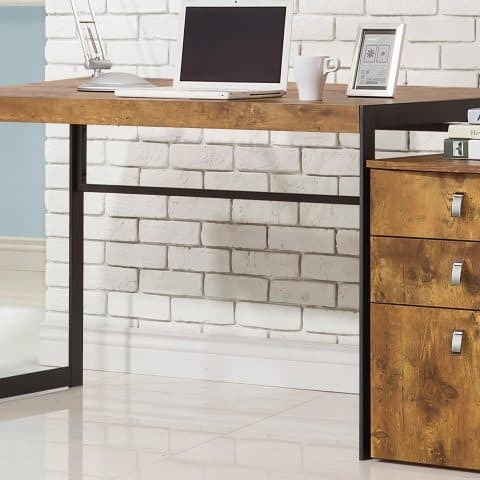 Mix media industrial style collection incorporating wood finished in antique nutmeg and metal finished in gunmetal. 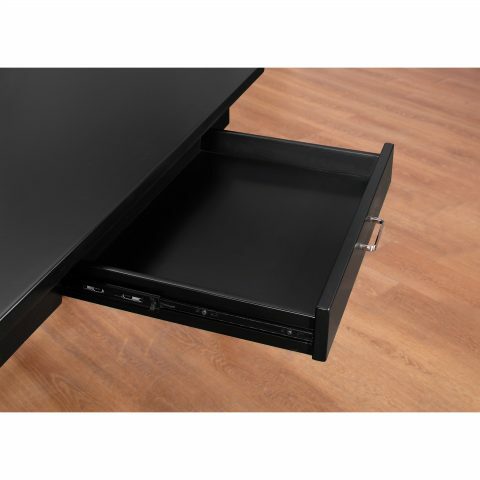 File cabinet sold separately. 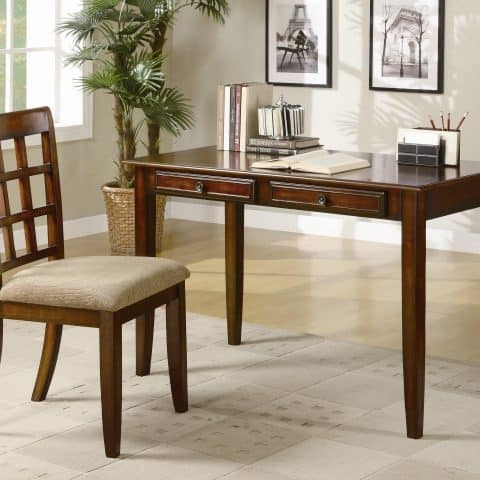 Two piece desk with chair set finished in chestnut desk features two drawers matching chair with tan fabric upholstered the cushion.